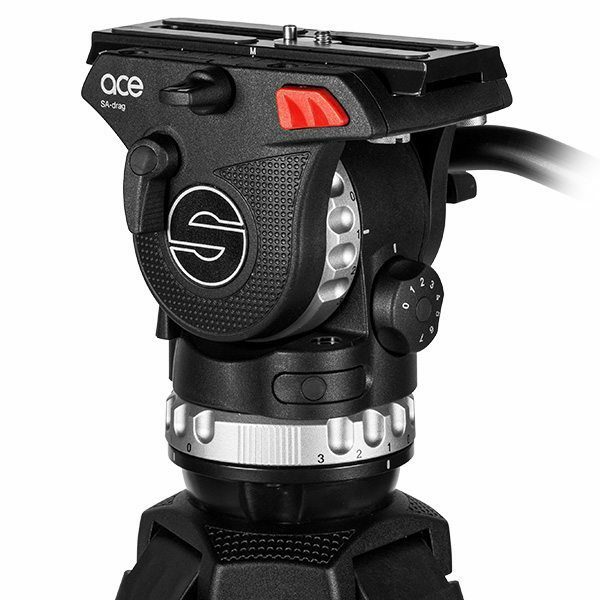 System Ace L MS CF is ideally suited for small HDV camcorders and video-enabled DSLR cameras. With a payload range of 0 to 6 kilograms (0 to 13.2 lbs), a 5-step counterbalance and the new patented SA dragTM, the new Ace tripod system enables a genuine Sachtler broadcast feel. Due to its lightweight and compact design System Ace L MS CF is the perfect companion for work on the go whether you are working on low-budget documentaries, electronic news-gathering (ENG), weddings events and training videos or a secondary unit. The new patented SA-dragTM system has three horizontal and three vertical steps. Ace uses three capsuled damping modules allowing you to choose a drag setting that suits any shooting situation – from a very tight control with lots of resistance to a very loose control with virtually no resistance at all. This technique gives, for the first time in this price segment, a constant and repeatable drag that professionals need and have always relied on, with Sachtlers’ broadcast and cine heads. 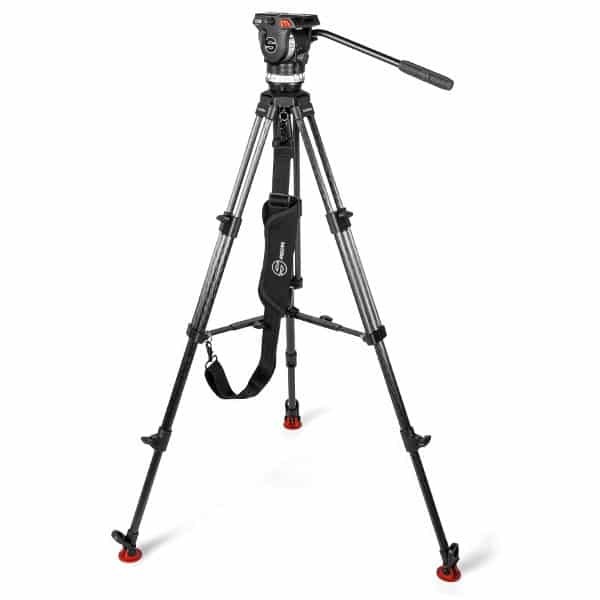 For camera-set-ups up to 6 kilograms, Sachtler developed the Ace L MS CF, Ace L GS CF and Ace L TT 75/2 CF tripod systems. 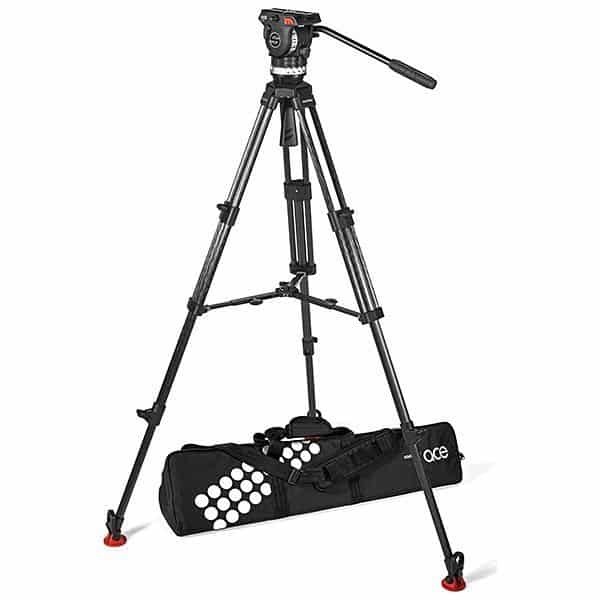 They offer a 7-step counterbalance and – thanks to their carbon fiber tripods which are extremely lightweight and provide high torsional stiffness – are universally applicable in their class. 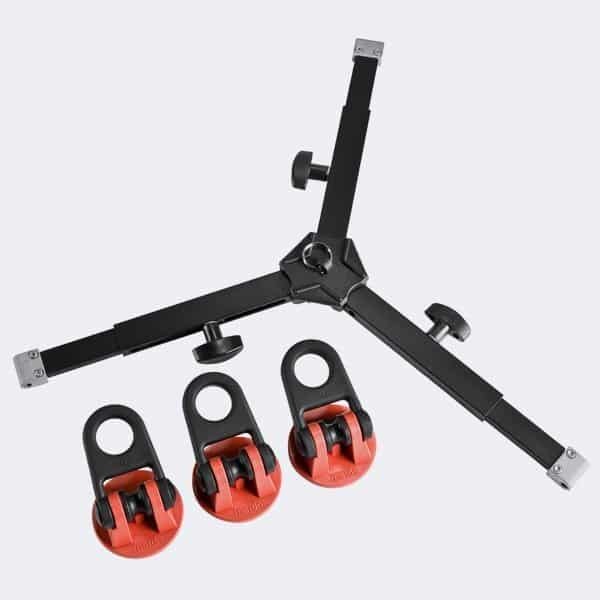 They are also the lightest among the Sachtler tripod systems. For the ultimate convenience, these systems are equipped with an illuminated bubble level. Weighing just 3.9 kilograms the Sachtler Ace L MS CF is the lightest of these systems. I have sourced this tripod model for a while in Singapore and I have my cheaper purchase from Expandore. Strongly recommending as the staff was well versed too.